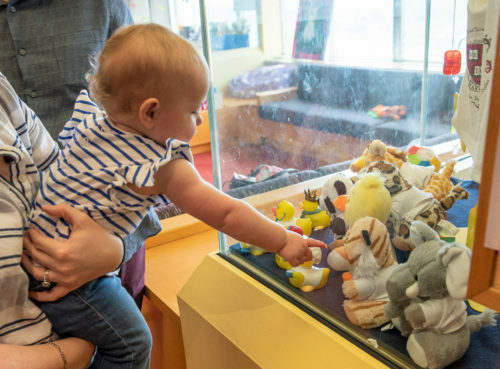 Children begin learning about the world and how it works from the moment they are born, and rapidly acquire a wide variety of knowledge over the first years of their life. 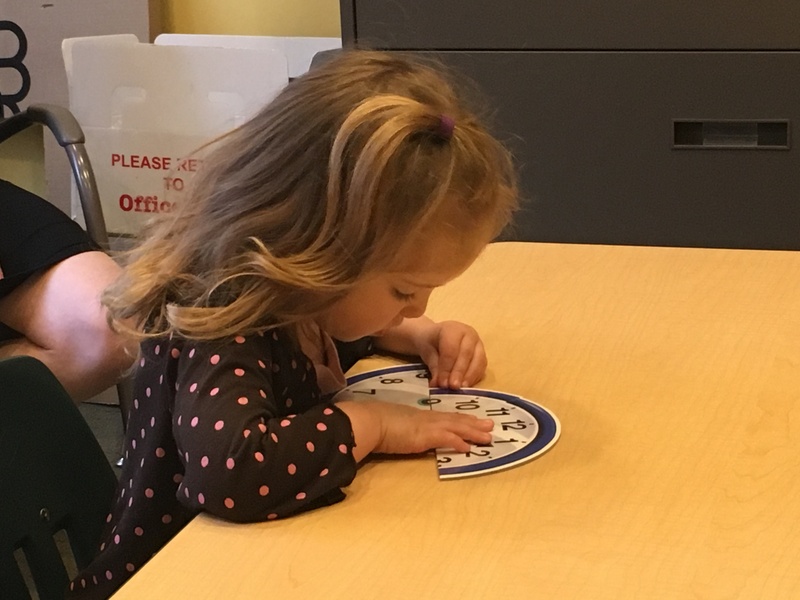 At Harvard's Laboratory for Developmental studies, we are interested in how this early learning happens and how it changes over time. By studying how children think and learn throughout development, we can gain a better understanding of how the adult mind works. 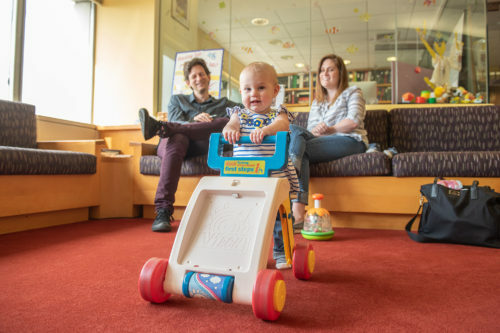 Studying cognitive development also has practical applications, allowing parents and educators to help children learn better and helping create better interventions for children with developmental disorders. Baby Lucy and her mom arrive to the parking lot behind William James Hall. RA Olivia greets them with a parking pass. 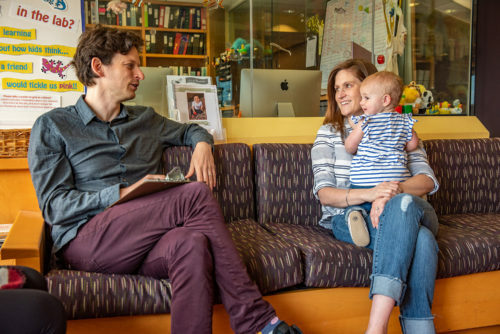 Researcher Tomer introduces himself and explains the study to Lucy's mom. Lucy checks out some of our fun toys while she gets comfortable with Tomer and the lab! Today, Lucy is participating in an eyetracking study. 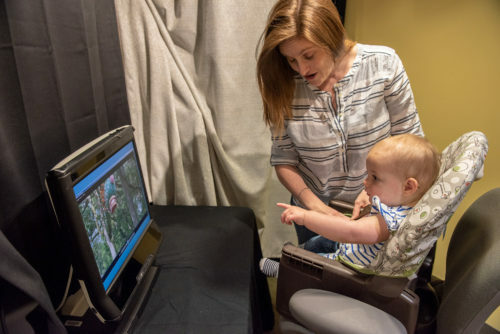 Her mom seats her in front of the eye tracker, which will monitor her looking patters while she watches a video. These patterns help us understand what Lucy is paying attention to! After she's done with the study, Lucy gets to pick out a prize to take home with her. See you next time! Thank you for your interest in participating in studies at the Harvard Lab for Developmental Studies! Please submit this form, and we will be in touch with you shortly. We keep all of your information confidential, and you will only be contacted with information about participating in Harvard LDS studies. 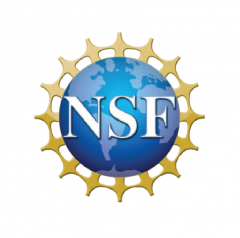 The Eunice Kennedy Shriver National Institute of Child Health and Human Development is one of the National Institutes of Health in the United States Department of Health and Human Services. 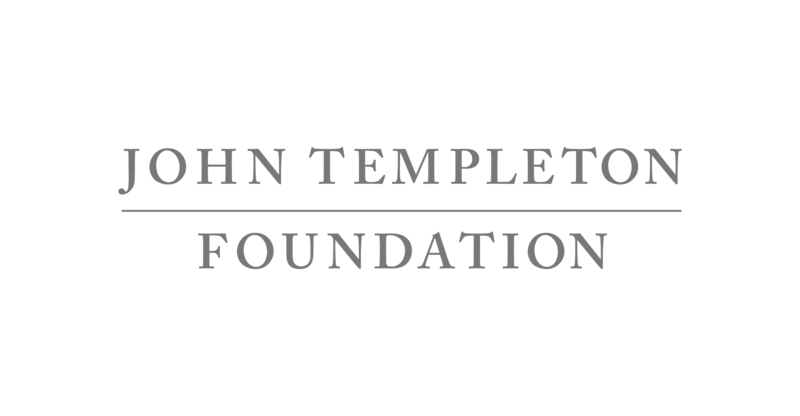 Sir John Templeton lived in an era of unparalleled scientific and technological progress. The accelerating pace of scientific discovery led Sir John to wonder whether the methods of science might be harnessed to make similar progress in understanding the deepest and most perplexing questions facing humankind. Today, the Foundation that bears his name aspires to fulfill his vision — relentless curiosity in pursuit of infinite discovery.